When I was at school we were nervously revising for the end of year exams. We were trying to spot which questions might come up, and for Physics we were a bit worried that it might concern Young’s Modulus. In case you didn’t know, Young’s Modulus is a ratio often used to characterise materials. It gives an indication of the stiffness of a material. More specifically, it relates to the inherent properties of the material. For the first time it allowed engineers to calculate the strain in a component for an applied stress. Before Young had devised his modulus, engineers had to apply Hooke’s law, or F = kx, where F is the force, x is the deformation and k is a constant dependant upon the material of the body and its shape. Using Hooke’s formula you had to do some tests on any new component to account for properties of the material and the shape of the item. 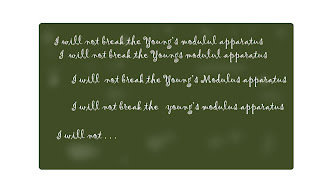 However, Young’s modulus is independent of the shape, so you can use it for any new component made of the same material. 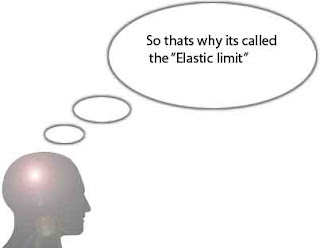 Young’s modulus holds true for a material within the range in which Hook’s law applies – where extension is proportional to load - within the elastic limit. Beyond that, well, things change a bit. At school in the physics lab we had a “Young’s Modulus” experiment set up. This was a thin wire going up over some pulleys fixed to the ceiling and running down to an attachment where you could load on weights to apply stress. 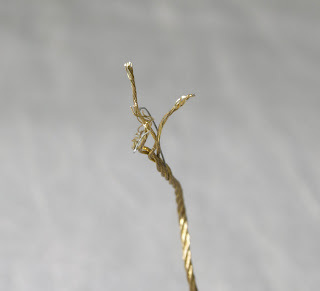 While ‘Teacher’ was occupied in the prep-room, someone in the class had discovered that if you plucked the thin wire like a single-stringed double-bass, it made a most amusing “doing” sound. Even better, if you put your foot on the loading attachment, you could alter the pitch of the “doinging” note by pressing down. An impromptu rendition of The Doors - “Come on baby light my fire” - was transposed into - “Come on baby twang my wire”. As I said, Hooke’s law applies within limits. Too much right foot and the amusing “doing” became “BOING” as the wire broke. So part of the reason for our nervousness about the Physics exam was the possibility that question number one would be “Who broke the Young’s Modulus apparatus?....... " Would you like to know more about Young’s’ Modulus, yield points and elastic limits and how to measure them? Then call Mecmesin. I promise we don’t have music ‘on hold’. Keeping a Constant Score on Muscle Strength? Break a Leg! No seriously, please do. 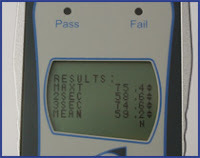 The reputation of our Myometer product is staked upon people breaking bones! Well, maybe not just fractures, but it can often be used in these situations, and a lot more besides. In short, the Myometer is a pull gauge, which measures isometric muscle strength, whether it’s your arm or leg, helping health professionals determine your general physical well-being, recuperation after injury or excessive training. Imagine you go to the hospital having broken your leg. 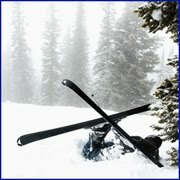 Maybe it was a freak skiing accident as you were winding your way down the slopes of Chamonix, and couldn’t quite get the angle right to make your turn, but were in perfect line for the tree ahead of you! As the doctor performs an examination, he must obtain enough information in order to form a qualified assessment of the injury and estimate the time needed for recovery. Data from the Myometer provides a low cost, yet precise method of determining physical functional disability for upper and lower limbs. It enables health professionals to evaluate the progression of disease, provide information on the success of treatment intervention or evaluate the result of a sports persons training regime on their health. A long distance runner, for example, puts their muscles under constant high levels of strain. As part of their physio, their therapist/trainer will use a Myometer to quantify the effects of training and compare results on a daily, weekly basis, if necessary to adjust it accordingly. As you lie in bed contemplating where it all went wrong, y our doctor suddenly appears to perform yet another examination. However, this one is surprisingly swift and thankfully requires very little effort on your part. With a lovely warm bedside manner, the doctor attaches a strap from the Myometer gauge to your leg, in this case, just above the knee. With the Myometer gripped securely to a stationary object, such as a table, you try to move your leg outward against the resistance of the strap. 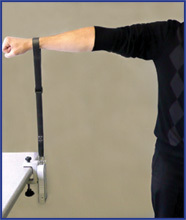 This enables him to measure your isometric muscle strength (a static measurement as there is no actual movement). The change in measurement over time provides him with a good indication of your recovery and regained strength. If this had affe cted your arm instead of your shoulder, you may have heard your practitioner mumbling something about the Constant Score. And no, that was not something in reference to Ronaldo’s ability to constantly score goals. It refers to a special technique used to assess the general performance of your shoulder when tested in a similar manner as before. The Myometer is able to automatically provide data for the Constant Score to make it even easier to evaluate a patient’s recovery. With measurements taken at regular intervals, it isn’t long before your doctor discharges you, you’re back on your feet and able to tackle that heavy workload left for you…while wishing you were back on those ski slopes! 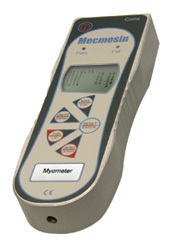 If you would like to comment or have a query concerning the Myometer, please leave a comment in the box below. Thank you.